A great kit for students and school projects. 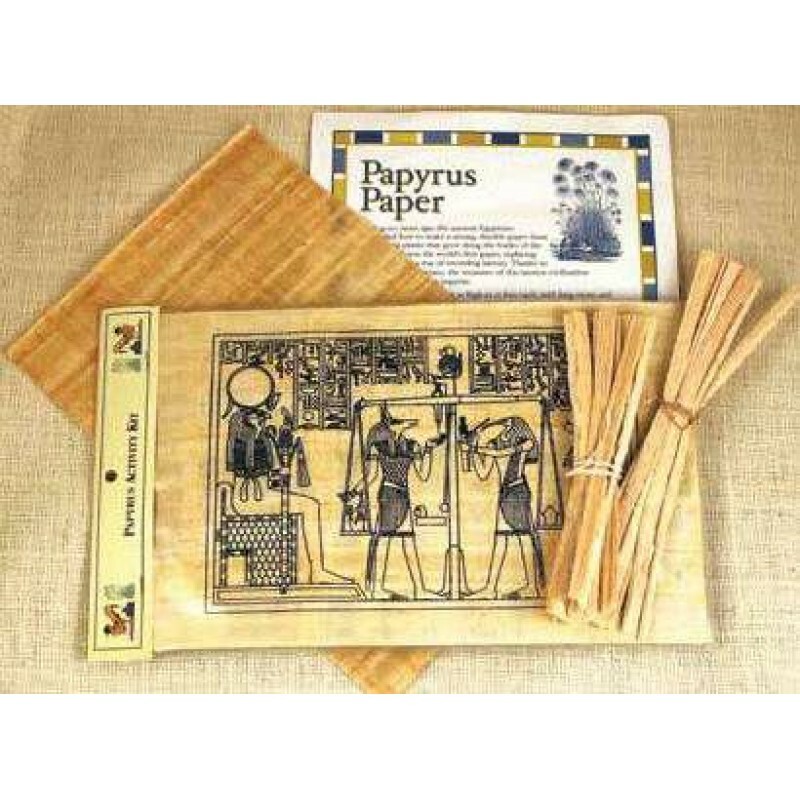 Made in Egypt, this kit contains dried papyrus reeds that can be soaked, rolled and pressed to create a 4 x 6 inch piece of papyrus paper just the way the ancient Egyptians did. 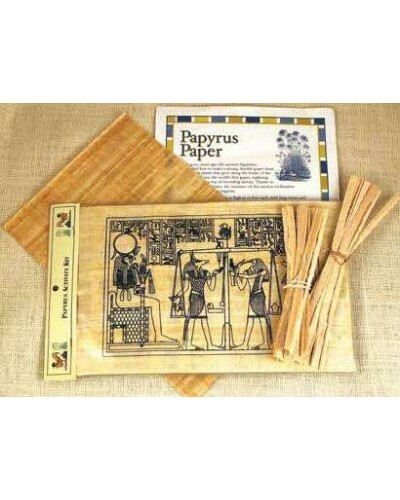 One 8 x 12 inch sheet of blank papyrus, one 8 x 12 inche paint your own papyrus (assorted line art designs printed on papyrus that can be colored in), Includes instructions and a short history of papyrus. 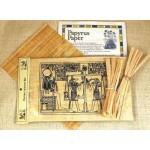 Great for school projects - the paper takes 1-2 weeks to make. Item Number: EI-75-7500 | Approximate Size (Inches): 8.00 wide x 1.00 deep x 12.00 high | Approximate Shipping Weight: 1.00 lbs.